Kevin Burke is an Irish fiddler maestro whose most recent award is the 2016 Gradam Ceoil (Traditional Music Awards). 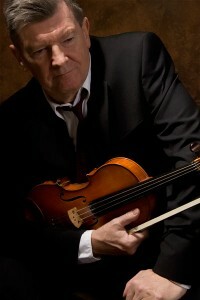 Burke, considered the most influential Irish traditional musician to emerge in the past 30 years, has been hailed as a “virtuosic and powerful” performer by the New York Times. He is a giant among players, audiences and critics worldwide. His impossibly silky, lyrical playing has been a focal point of the great Celtic revival, from his own classic solo recordings to membership in legendary bands like The Bothy Band, Patrick Street and Celtic Fiddle Festival. Please join us for a rare, acoustic, solo performance by one of the greatest Irish fiddlers of all time. Golden State Warriors Tickets & San Francisco Giants Tickets: Come hear Kevin and bid in a silent auction on donated tickets to a Golden State Warriors basketball game (courtesy of the Golden State Warriors), SF Giants Tickets “Irish Night” on April 25th, and other items! All proceeds benefit Irish-American Crossroads. Listen and hear why Kevin Burke is considered one of the greatest Irish fiddlers of all time.